1.1 Laurier will engage in fundraising practices that inspire confidence and trust and demonstrate integrity, transparency, accountability, and high ethical standards for fundraising. 1.2 Laurier will demonstrate respect for our donors and engage in fundraising, investment and disbursal of funds in an open, honest and transparent manner. 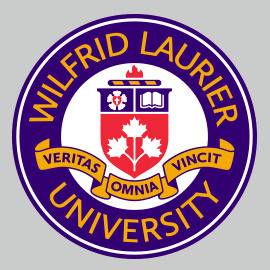 1.3 All fundraising programs and policies undertaken by Laurier are reviewed by the Board of Governors through its standing committees to ensure they are consistent with its Vision, Mission and Guiding Principles statements, and that they comply with this and other applicable University polices. 2.1 All fundraising solicitations by or on behalf of Laurier shall disclose the University’s name and the purpose for which funds are requested, as well as contact information. 2.2 Laurier staff, or those fundraising on its behalf, shall disclose, upon request, whether an individual or entity soliciting contributions is a volunteer, an employee or a contracted third party. 2.3 If Laurier undertakes cause-related marketing in collaboration with a third party, it shall disclose how Laurier benefits from the sale of products or services and the minimum or maximum amounts payable under the arrangement. If no minimum amount is specified, Laurier should disclose this. 3.1 Laurier shall conduct its fundraising and reporting activities in compliance with applicable laws and University policies and procedures. Policies and guidelines associated with development and fundraising. 3.3 The cost-effectiveness of the Laurier’s fundraising programs shall be reviewed regularly by the Board of Governors. No more will be spent on administration and fundraising than is required to ensure effective management and resource development. 3.4 Funds received will be used to advance Laurier’s charitable objects and, where applicable, invested in accordance with Laurier’s investment policies and procedures. 3.5 All restricted or designated donations will be used in a manner that is consistent with the purposes for which they were given unless Laurier has obtained legal authorization to use them for other purposes. Legal authorization may be granted as a term of the gift agreement, by written consent of the donor or legal designate, or through the courts or appropriate regulatory body, where necessary. 4.1 Laurier shall encourage donors to seek independent advice if the proposed gift is a Legacy Gift (e.g. bequests, life insurance, shares, etc.) and/or if Laurier has any reason to believe that the proposed gift might significantly affect the donor’s financial position, taxable income, or relationship with other family members. 4.2 Laurier will endeavour to be truthful and accurate in all its fundraising and reporting activities. In particular, it shall not make claims that cannot be upheld. It shall refrain from using marketing materials or making representations that could be misleading. Laurier shall not exploit its beneficiaries. It shall be sensitive in describing those it serves (whether using graphics, images or text) and fairly represent their needs and how these needs will be addressed. not accept donations for purposes that are inconsistent with Laurier’s objects or mission. 4.4 Laurier will not pay, directly or indirectly, finder’s fees, commissions or percentage compensation based on contributions. 4.7 The privacy of donors shall be respected. Any donor records that are maintained by Laurier shall be kept confidential as per policy 10.1: Information Availability and Protection of Privacy. Donors shall have the right to see their own donor record, and to challenge its accuracy. All donor personal information shall be collected, used, retained, disclosed, and disposed of in accordance with University policy and applicable privacy legislation. 4.8 Laurier does not sell, exchange, or rent its alumni/donor lists with other organizations. 4.9 Recognition mechanisms created due to a gift shall be in line with Laurier’s Gift Acceptance and Naming of University Assets policies. 4.10 Laurier will promptly respond to a complaint by a donor or prospective donor about any matter that is addressed in these guidelines. Laurier’s Board of Governors shall be informed at least annually of the number, type and disposition of complaints received from donors or prospective donors about matters that are addressed in these guidelines.